Is Cloud Right for Me? John is a Principal Consultant with a wide range of experience in IT transformation. 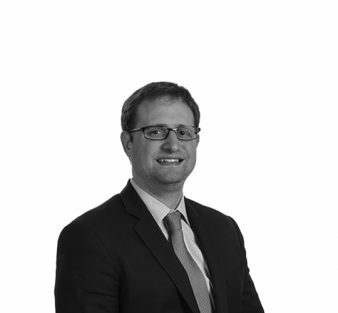 His experience is primarily in M&A, where John helps clients navigate pre-deal and post-deal planning and execution. John’s focus is on IT strategy and planning, yet he has frequently remained with his clients in a Delivery Assurance function post-deal to ensure successful delivery of the strategy. John brings over 11 years of consulting experience with an emphasis in IT strategy, Delivery Assurance, and M&A integration. He also has experience performing technical due diligence for prospective buyers and sellers. 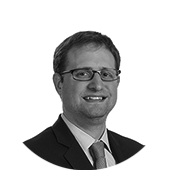 John has worked in a variety of business environments from Fortune 100 to middle market, privately-held companies. Coming from a hands-on technical background, John is able to provide a unique perspective on technology while marrying it with deep business knowledge in order to provide his clients with insights not often found in typical IT consultants. John joined Liberty so that he could focus on what he does best: help clients across industries with their strategic initiatives. 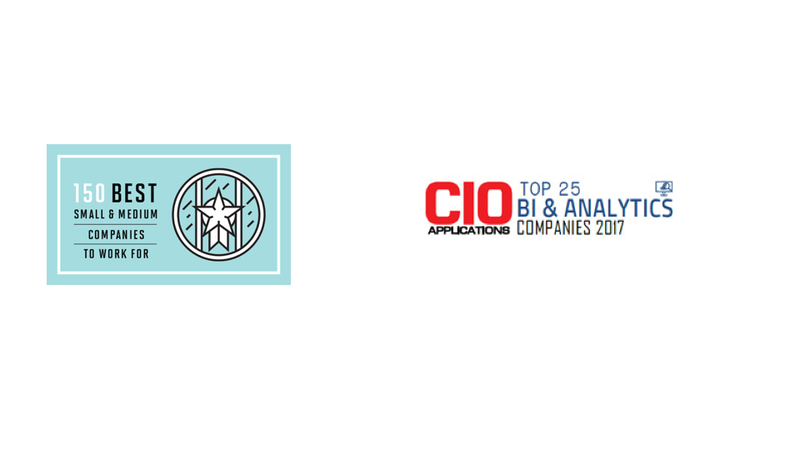 Whether it be an acquisition for a middle market, privately-held company, or a strategic IT initiative for a Fortune 100 company, Liberty allows John the latitude to work on initiatives that fit his skillset best without the constraints of the typical consulting model. As IT executives evaluate infrastructure options available for their business, they often fail to consider a number of factors that may sway their decision. Read on as Liberty dives into our approach to evaluating infrastructure migration. Advertising for cloud platforms has become ubiquitous in airports, on billboards, in magazines—just about anywhere technology leaders’ eyes might wander. These ads pluck at the question of the moment for those in charge of a company’s IT: should I be moving everything to the cloud? But this is often the wrong question. 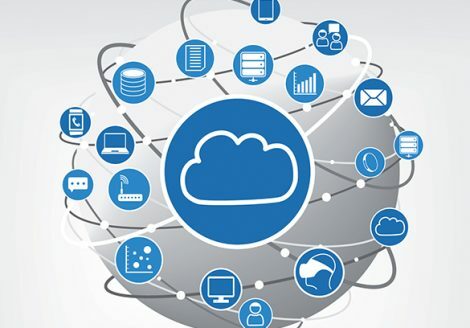 IT leaders should really be asking, “What is/are the correct hosting options for my business?” Cloud platforms such as Amazon Web Services and Microsoft’s Azure have gained millions of denizens for good reason, but they’re often only part of the best solution for an enterprise. As your organization contemplates an IT infrastructure migration, consider the following to make a more informed decision. While “cloud” is often the answer many technology organizations settle on, there’s a larger spectrum of infrastructure hosting options available, from Amazon Web Services (AWS) and Azure, to Software as a Service (SaaS)-based solutions such as Salesforce and Workday. To confuse things further still, the debate between public and private cloud adds another layer of complexity on how your hardware, applications, and data will be hosted. The easiest way to understand the ever-increasing number of hosting options is to consider what you’d like to own and manage versus what the provider you’re paying will own and manage. At the far left of the spectrum—the side where you take on all responsibilities—you are responsible for owning and managing everything from real estate to server hardware to fire suppression systems in a server room. On the other end of the spectrum, you pay a service fee for a provider to own and manage all aspects of the IT infrastructure (including the application) and you simply use the application as a service. As organizations evaluate their options, most come to the realization that being at the extreme of either side isn’t usually the best option as it will limit effectiveness and increase cost. A hybrid approach will usually yield a more robust array of applications and IT infrastructure that will better support the business. As an example, commoditized applications or services (those that are ubiquitous and are commonly used across many organizations with little customization, e.g. email, HR, payroll) usually fit best in a SaaS model, while software requiring extensive customization or frequent changes typically work better in an IaaS or PaaS model. Older, highly customized software may have to be hosted or in a co-located data center because cloud providers typically don’t offer older technology stacks. These solutions can co-exist within the same IT organization with relative ease. 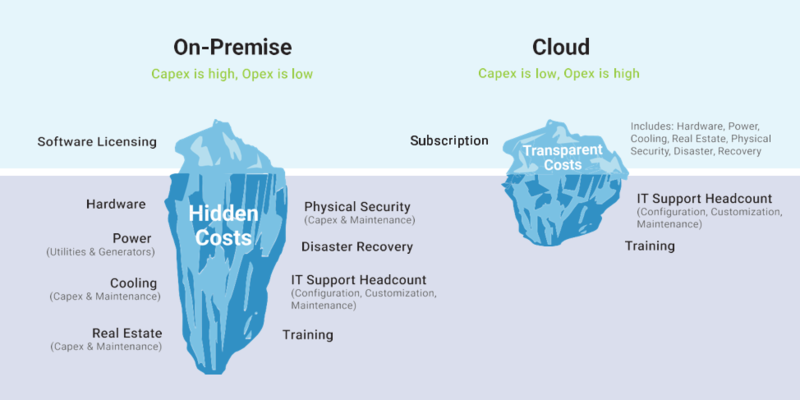 Frequently, when organizations begin researching options, they are dissuaded by the ongoing cost associated with running infrastructure in the cloud citing the fact that it is significantly more expensive than their current solution. However, these organizations often fail to account for all of the costs of maintaining and operating their own infrastructure, as well as the differences in the quality of hosting between their existing (often on-premise) solution and the various cloud options. “Apples to Oranges” – Organizations usually realize that their solution is not up to par with that of a production-grade cloud datacenter. Servers are often older and nearing end of life, storage of IT hardware is in an IT closet, rather than a production-grade facility with the proper power and internet failover, and most frequently, disaster recovery is limited or non-existent. Once an organization has developed a strategy and is ready to undertake a cloud migration, it should consider whether it has the resources and the knowledge necessary to execute its vision. A different skillset is usually required to successfully execute an IT transition and hiring new resources or a firm with experience in this area is usually beneficial and will end up saving time and money in the long run. Finally, ongoing maintenance should be contemplated to ensure that the organization has the necessary skillsets to maintain its new infrastructure. In a world of cloud and SaaS, engineers used to maintaining hardware, VMs, and network elements can quickly get lost. Contemplating an IT infrastructure migration is a significant initiative with far-reaching implications, both into the business it is supporting as well as the future operations of the IT organization itself. As with any large undertaking, a sound strategy and planning must sit at the foundation in order to ensure success. If you’d like to discuss an application/hosting strategy for your organization, please reach out to us. We’d be happy to help. Find out if the cloud is right for your IT infrastructure.